Truth. For more than just 4 year olds. Read this from NPR to understand what turtles have to do with it anyway. 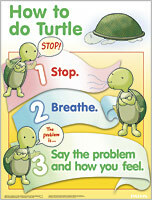 This entry was posted in 21st Century Skills, Character, Education and tagged 4 year olds, academics, character, emotional skills, NPR, social skills, social-emotional learning, turtle by cmschilly. Bookmark the permalink.